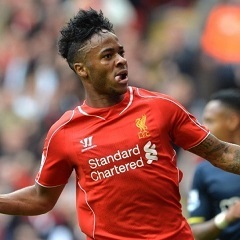 Cape Town - Harry Redknapp says that Raheem Sterling should stop "messing around" and sign a new deal at Liverpool. According to talkSPORT, Harry Redknapp believes Sterling is "lucky" to be at Anfield. The 20-year-old Liverpool player has starred for Liverpool and has played a crucial role in the club's resurgence in the second half of the season. Redknapp says the England international would be making a "big mistake" if he snubbed Liverpool with Real Madrid reportedly keen on the tricky attacking player. The former Portsmouth, Tottenham Hotspur and Queens Park Rangers' manager would advise Sterling to sign his contract offer along with the following advice: “You are at a great club, you are playing regularly, you have become an England international, you’re learning the game." “Have another two or three years of playing as you are now, keep taking your game on and you will get the rewards. The money is there anyway, but you will be up there with the top earners in the world in another two or three years if you keep progressing. “You are at a fantastic club, one of the best football clubs in the world. You are lucky to be playing at a club like Liverpool. Get your nut down, do your job, and the rewards will keep coming.” added Redknapp. Sterling has featued in all but league fixtures for Liverpool with English star netting six goals and providing nine assists.